Today we’re getting even deeper into my series of StudioWorks artists with guest Julie Baldyga. I feel that most of Julie’s work centers around her interest in how things work—be it people or machines. 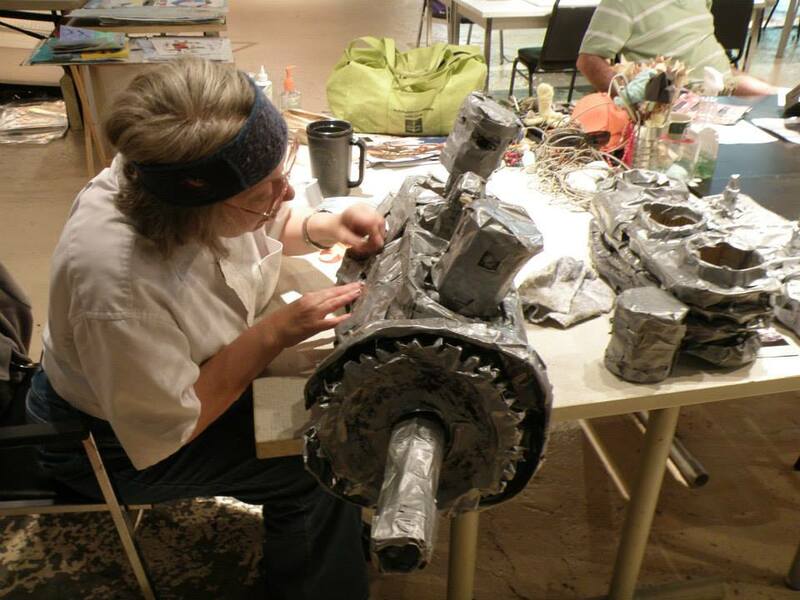 Julie’s body of work is mostly made up of oil pastel scenes of mechanics working on various machines. The figures in her pieces tend to be women engineers, scientists, and mechanics. She says her interest in machinery came from her father’s job working in a whiskey bottling plant, when she was a child. Julie at work. Photo via The StudioWorks Facebook page. Of course, once you’re done with all that, listen to our chat below.